We were recently able to head down south to finally check out England’s newest national park with the dogs for a fun day of walking, food and first-rate sights. South Downs is the newest national park in England and was established just five years ago in 2011. The massive park is huge, covering 628 square miles and stretching 87 miles from Winchester to Eastbourne. Kingley Vale is located right outside the cathedral city of Chichester and like the city itself, it’s full of incredible sights and history dating back to Roman times. 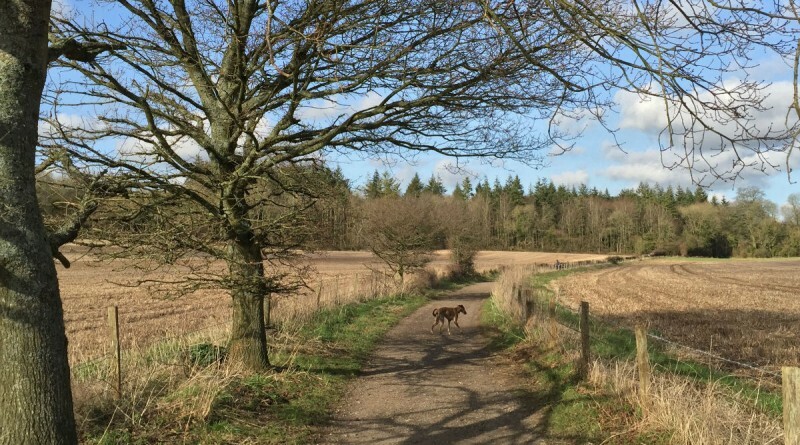 The Kingley Vale NNR is also one of the most accessible areas in the park for dog walks with a circular path that makes for a nice, four-mile stretch of the legs. The walk allows for dogs to be off their leads once you’ve passed the kissing gate, allowing for optimum canine exploration. 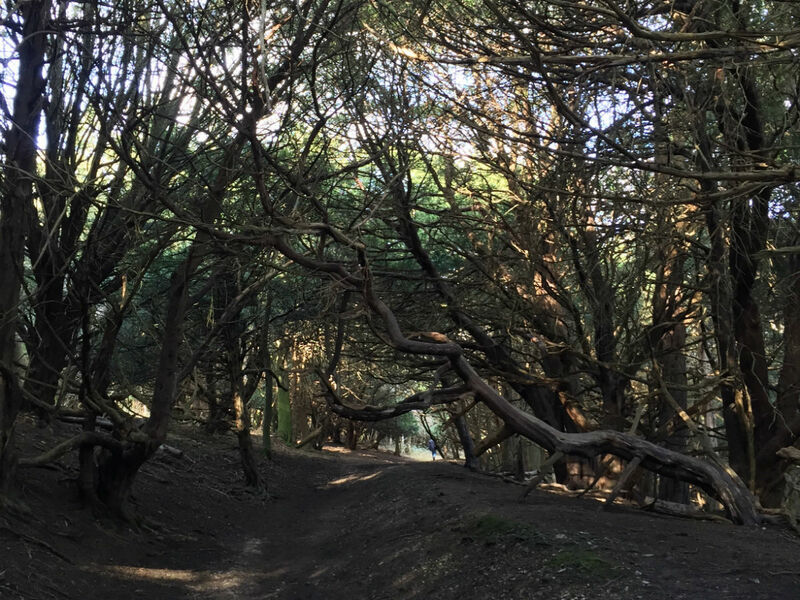 The path includes a tough, mile-long, uphill hike dotted by twisting yew trees and wild orchids until you reach the top of the hill overlooking acres and acres of expansive chalk grasslands. On top of the grasslands are three Bronze Age burial mounds to add an incredible bit of history to an already-scenic walk. The mounds themselves, also known as the Devil’s Humps, add even more flair to the impressive sight. Once on top of the hills, you can see for miles and are treated to absolutely breathtaking views that really let you take in the vast landscape. In one direction you have the lush, rolling hills of the South Downs and with the other you can see clear to the coast with Chichester Harbour and the Isle of Wight in plain view. And speaking of sights, the walk also goes right by the dramatically named Ancient Watchers. The name sounds like something right out of Game of Thrones but it actually refers to a grove of old growth yew trees, some of which have been around for more than 2000 years. A little bit past the Ancient Watchers you’ll find yourself at the edge of the park before ending right back up where you started at the car park. 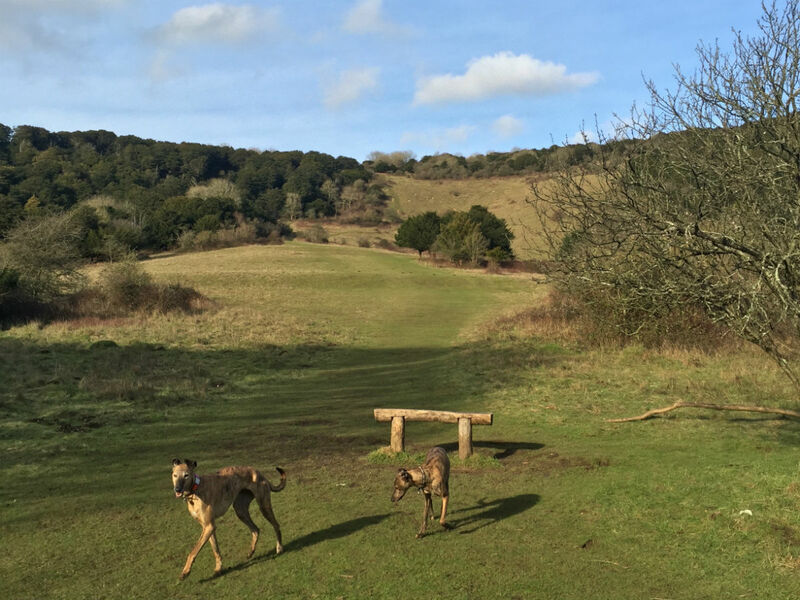 With so much to see and do on such a basic walk it comes as no surprise that Kingley Vale has been considered the best dog walk in South Downs and is in the running for the best dog walk in Britain. If you’re a bit exhausted after the walk and craving a cup of tea or just looking for some fuel beforehand there are some terrific options available. You can quickly find a cosy establishment at The Pavilion offering a fine spot of afternoon tea and an assortment of great food. The tearoom offers a wide variety of sumptuous fare with something for every palette, ranging from delicious and delicate tea sandwiches to incredible desserts. The savoury sandwiches are incredible with classics like salmon and cream cheese as well as a wonderful gammon ham sandwich served with English mustard. The sweet options were just as delightful with everything from biscuits to brownies to tarts. The lemon posset and homemade biscuits were a particular high note with bright acid from the lemon pairing well with the buttery homemade shortbread. The restaurant also offers live music for those looking for some entertainment on their trip. The band plays a variety of styles including jazz, blues and ragtime, recalling days long past while audiences overlook the stunning walled garden. And while we were definitely pleased to have a place to sit and rest after the walk, we were even more pleasantly surprised to learn of the load of dog-themed events taking place in nearby Stansted Park! The Paws in the Park series provides plenty to do for the whole family, as well as your furry friends. 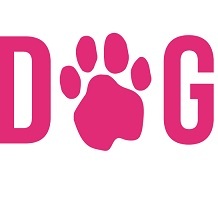 All dogs are welcome regardless of age or breed to take place in a variety of obstacle courses, training classes, races and more. 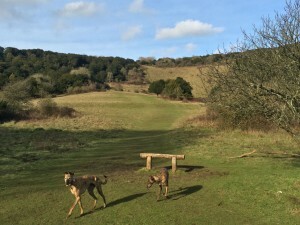 We came looking for some fresh air and a great day with the dogs, but we ended up finding so much more at South Downs. We’d recommend a trip down to the coast for anyone looking for an outdoors adventure or a full vacation.